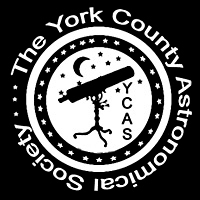 Shop AMAZON "Purchases Support YCAS"
The York County Astronomical Society is sponsoring a bus trip to the National Air & Space Museum. We invite the public to join us for our first-ever bus trip! Visiting both branches of the museum � 10:00-1:00PM (DC Museum); 2:00-5:30PM (Dulles Branch). Cost per person: $45. Check payable to: YCAS and mailed to: YCAS, c/o Phil Geise, Treasurer, 400 Mundis Race Road, York, PA 17406. Please include name, address, phone number and email address (if applicable) with the payment. We will not be stopping on the way down for breakfast, feel free to pack snacks, lunch on your own and stopping for a quick grab and go dinner on the way home. Contact Crystal Bolton, email at: YCAS Secretary or call (717) 870-4858 for more information or questions. 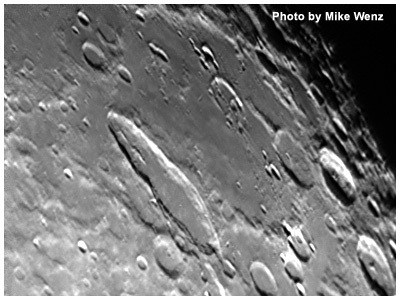 The York County Astronomical Society, Inc. is a non-profit organization dedicated to the advancement of the science of astronomy.